Today I'm sharing a birthday card that I made for a very good friend of mine and I'm running late with getting it in the mail! Yikes, the time came quickly. So I had to come up with something quick. I remembered she fancied a certain set in the Annual Catalog. So I thought I would use that set to make her card. 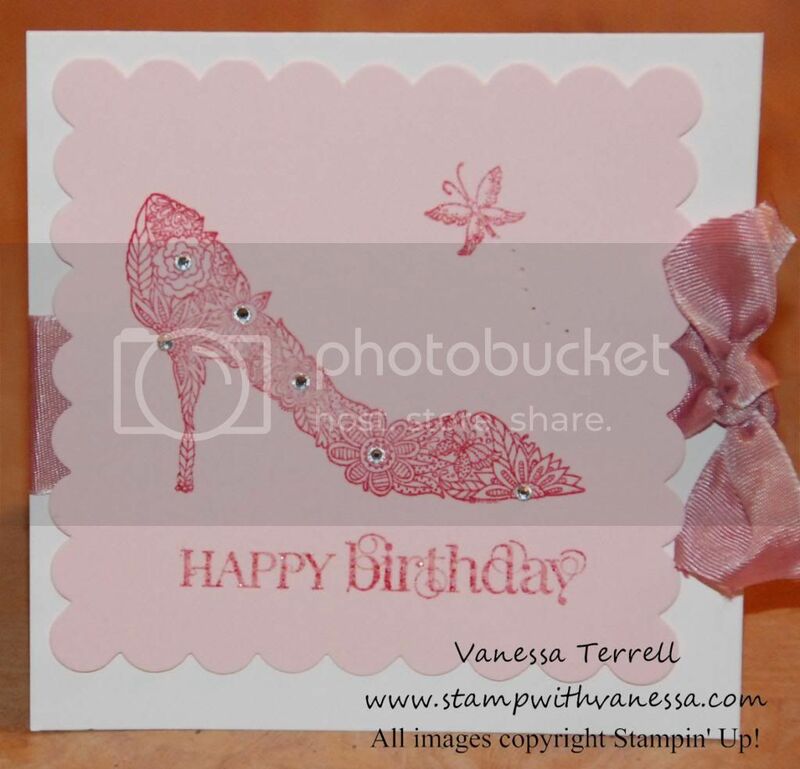 Hence the title of this blog post "Fabulous You" and the name of the stamp set! Here's what the stamp set looks like! 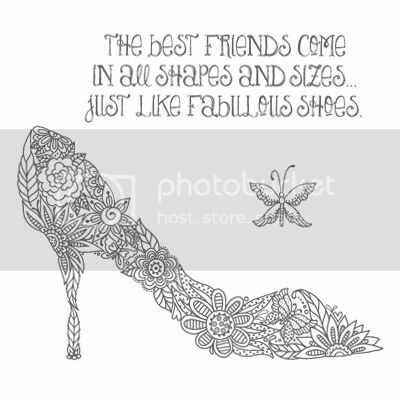 I decided to use just the shoe and butterfly and wanted the shoe to just sparkle. I didn't want to have to color it. So I decided to emboss it to give it some sparkle. So I stamped my stamp in VersaMark and then in my ink color. The embossing powder I used for the sparkle was Iridescent Ice. I then added some Rhinestone Basic Jewels for additional sparkle, too bad you can't see the sparkle! I think my friend will be surprised when she receives this card and I hope it makes her feel Fabulous! Thanks for stopping by! 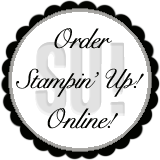 Click her to place a Stampin' Up! order. Vanessa, your pieces are absolutely gorgeous! I have some stamps but haven't "played" with them in absolutely ages. I need to come back to your blog just to see beauty, if not to start stamping more! Thanks for a great post.